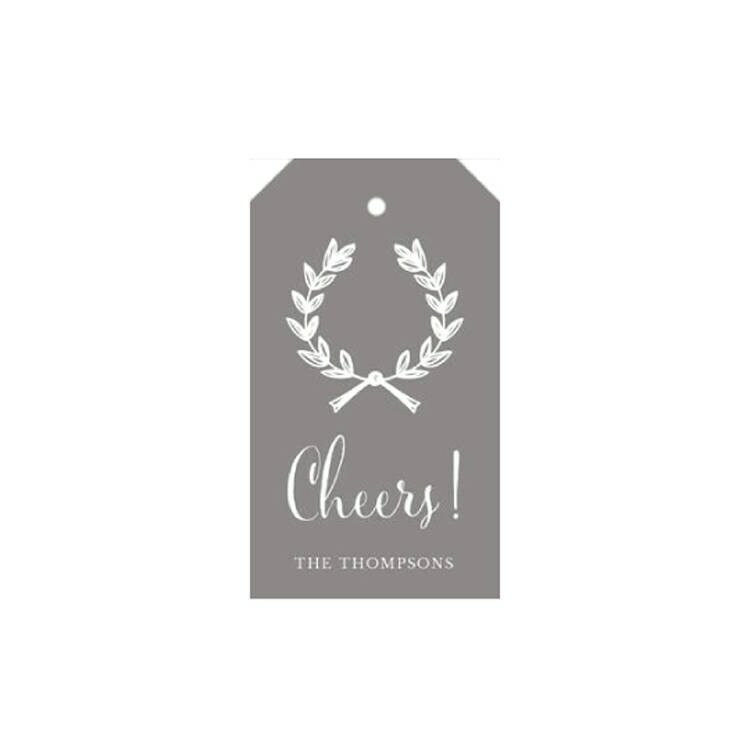 Gift Tags … great for birthday gifts, wedding gifts, wedding favors, or just to include on a little "thank you" gift! Grey Tags with Hand-drawn Wreath! Cheers printed in white with names below. Back is solid grey. * Size:: 2" x 3.5"
* Hole Drilled at Top and String Included to tie onto packages.